Even though mycorrhizal fungi are more likely to die than to multiply in a compost pile, I've decided to devote a series of The Compost Gardener pages to these fungi for several reasons. First, many gardening reference books and garden web sites either do not talk about, or only briefly mention, mycorrhizal fungi. Meanwhile 95% of plants are eager to start and maintain a relationship with them. Add to that that the benefits they provide could be very helpful in addressing many of the problems we face in gardens and on farms today. Second, while most of the beneficial organisms come to us as a by product of our composting methods, mycorrhizal fungi do not. The often recommended hot composting methods will kill any mycorrhizal fungi that might be present. They grow only on the roots of live host plants. The most important group do not have above ground fruiting bodies so are unlikely to come to your garden as fungi spores on a friendly breeze. Third, if mycorrhizal fungi disappear from a site for some reason they take a long time, decades even to come back. 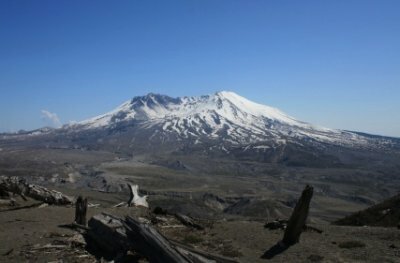 For example, in the blast zone associated with the eruption of Mount St. Helens back in 1980, soils were superheated and the mycorrhizal fungi wiped out. Though much of the area has been replanted the fungi have yet to fully reestablish themselves. Thirty years later they have only moved about half a mile - 800 meters - into the blast zone. Is your interest ignited? If so check some of these pages out. Mycorrhizal Fungi Stories - here is the story of how a taste for truffles led to the discovery of mycorrhizal fungi as well as some great tales of how these fungi have worked in different conditions. Matching Types of Mycorrhizal Fungi with Plant Partners - Between 90 and 95% of plants partner with mycorrhizal fungi. Which kind does your garden need and what plants don't have mycorrhizae. The Plant Fungi Benefits of Trade - plants routinely trade 20-30% of their sugar production to the mycorrhizal fungi in their roots. Are they getting their sugar's worth of benefits? No Till Gardening and Farming - you may already have a healthy population of mycorrhizal fungi hard at work in your garden - or not ... Ironically many routine farming and gardening practices are murder on fungi, especially mycorrhizal fungi. What fungi friendly changes might you want to make? Phosphorus Fertilizer or Mycorrhizal Fungi - this is where you'll find out more about what makes phosphorus such a tough element for plants to access, as well as exploring the problems associated with high use of phosphorus fertilizer.